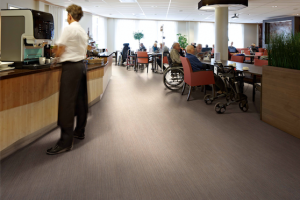 As age-related changes and impairments can often make it more difficult for people to understand and navigate a building, Forbo Flooring Systems has partnered with The University of Stirling’s Dementia Services Development Centre (DSDC) to review over 1000 floor finishes; assessing their suitability for use in dementia-friendly environments. Following this, the flooring manufacturer is pleased to confirm that it now offers a selection of independently accredited products that are ideal for use in dementia supportive settings. Impairments such as sensory, mobility or cognitive (or sometimes a combination of all three) can have a serious impact on older people and those with dementia. Functioning, behaviour, independence and, ultimately, quality of life can all be compromised, but appropriately designed environments can help keep them safe from dangers, such as falls. By understanding the impact of such impairments designers, specifiers and carers can create interiors that help people feel safer and more confident in their surroundings. 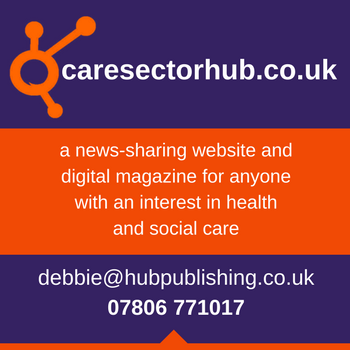 Forbo has worked with The University of Stirling’s DSDC for the past year to review its products – assessing and rating them in accordance with their dementia design principles. Now, specifiers and designers can choose from an extensive selection of more than 800 Forbo products that have been accredited across the Class 1a, 1b and 2 rating system. This rating system is based on the tonal contrast and pattern of products, which determines their suitability for use. Angus Fotheringhame, General Manager Benelux, UK & Ireland, at Forbo is delighted about the company’s positive step forward in supporting an ageing population: “We are experts in flooring, not in dementia design, and it’s really important to us that we understand the requirements of the end user to communicate to our clients what to use, and equally what not to use in age inclusive environments. “Our collaboration with the DSDC, the specialists in dementia design, enables us to understand the foundation of a dementia friendly environment, and offer a set of DSDC accredited products, which when used alongside appropriate interiors, can support the experience of the end user”. Although the floor is one of the largest surfaces within a building, it is vital that careful consideration is given to the specification of adjoining finishes, their performance and suitability when it comes to designing dementia-inclusive or dementia-friendly interiors. It should also be noted that the DSDC accredited product logo is only awarded on the merit of the individual product and colourway, and not the products final application. 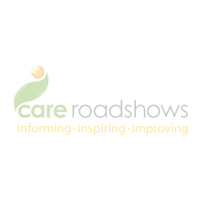 Forbo are exhibiting at Care Roadshow Birmingham on 3rd July. Be sure to pop by to say hello!